Hahaha just saw that #tosod is trending! 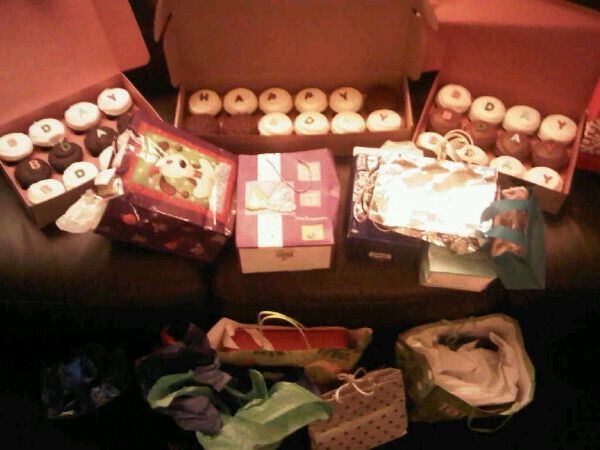 Thanks you guys!! Hope you are enjoying the new album The Other Side of Down! 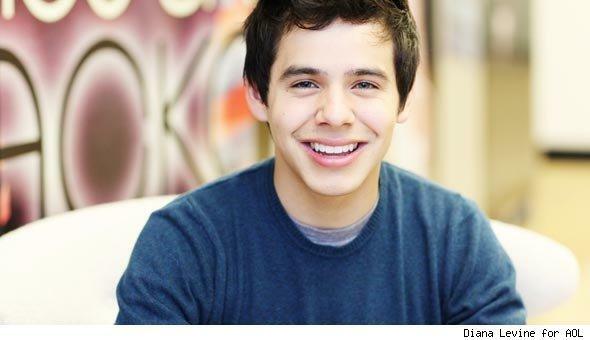 – David Archuleta on Twitter, October 30, 2010, circa 3:45 PM EST. It began with a vlog. October 29, 2010 to be exact. Weeks after David’s sophomore album, The Other Side of Down, dropped – only to generate disappointing sales – the Archie fanbase held our collective breaths as we awaited some kind of reassuring word from The Voice. Most of us loved the album and thought it was work that David should be proud of, but we were downright frustrated with the obvious lack of promo from his label and management. When David finally broke the silence by vlogging, it was only natural that some of us – well, at least the folks here at Soul David (because that’s just how we roll) – began speculating. What? No mention of the album at all? And are those bags under his eyelids? Is David getting enough sleep? OMG! David is embarrassed that his album isn’t doing well! Does he think we don’t like TOSOD? LET’S TWEET DAVID OUR LOVE AND APPRECIATION! And just like that, in less than 24 hours, we here at Soul David gathered an army of Arch Angels to bombard our beloved with tweets of love about #TOSOD. We, who had organized during longer periods of time various twitter-trending parties for his album, book release, and birthdays (to no avail), suddenly got David to “Twitter Trend.” And the best part: David saw it, gave us 3, not 2, hahahas, and brightened our day, as we brightened his. It’s a highlight for me in 2010, not just because it made Helium’s Top 10 Twitter Trends (albeit rounding out the list at #10) and not just because it started here at SD, but because it represents the very best of David’s fans and the mutual love and affection that exists between an artist and his audience. We may have overreacted, misinterpreted, or overanalyzed David’s vlog, but deep down, most of us went with our intuitions (while others who weren’t all that worried about David decided to just join in the fun because it’s never a bad idea to say “I love you”). Beyond David, however, were the hurt feelings of a fanbase. We had believed in our own power to launch David into the stratosphere: whether this got reflected in a strong debut of David’s first single, “Crush,” or in a #1 music video spot for weeks on VH1’s Video Countdown or in sellout concerts or in various Internet polls or in another strong debut when David’s first memoir, Chords of Strength, premiered at #15 on the New York Times Nonfiction Bestsellers list. We Archies always had David’s back in these things. We who could get David’s name out there suddenly could not get his single, “Something ‘Bout Love,” or his album, The Other Side of Down, to launch or even get his name to trend on twitter. Perhaps these particular efforts were too market-driven in a commercial competition with the likes of Justin Bieber or other Idol alumni. Other artists, whose labels coughed up more cash to finance their promo, propelled way ahead of David, who quietly and diligently kept on wooing us and wowing us with his pure talent. So certain that the artist we love was deserving of those crass commercial trappings – big record sales, high-profile gigs, radio play – we frustrated ourselves when these were not as forthcoming as they had been in the past. The #TOSOD twitter trending event was a marvelous reminder of what was really important for David and for us: it was that our collective love for David reigned supreme, and it mattered more than anything else: more than sales, more than TV spots, more than radio play, even more than twitter trending! We didn’t even try to trend #TOSOD; our main goal was mainly to cheer up David in case he wasn’t feeling too cheery about the reception of his lovely album. What we had tried to accomplish in previous events unfolded effortlessly. It’s a sobering and humbling moment and one that I hope we will always cherish as we move forward and embrace a new year and new chapter in this fabulous and unpredicatable journey of following David and his music. 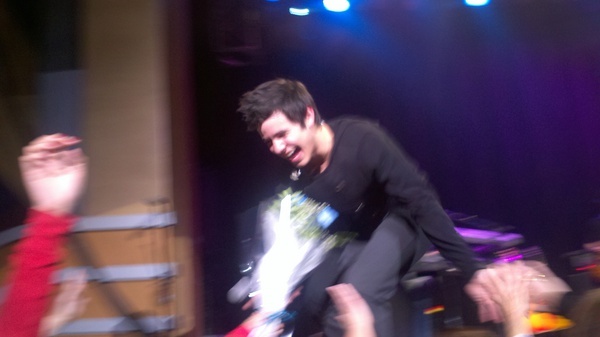 A few hours ago, David revealed a New Year’s Resolution to plan a tour for 2011 (and doing it for the fans no less! ), and so far, new management has already booked David for a televised event for New Year’s Eve. There’s reason to hope that the future is bright. Whatever new developments and old conflicts, the love is there, and the love is real. It is my own sincere hope that it sustains us for 2011. And sounding like one too! Here’s to the joys of turning 20! Interesting, but I have no clear memories of my 20th birthday because my 21st birthday – when I could legally drink! – was such a joyous and drunken celebration. Still, it’s a momentous occasion: 2 decades on this earth. Already, David has done so much at this young age. Here’s hoping for many more decades to come and a new year of blessings and musical enrichment! 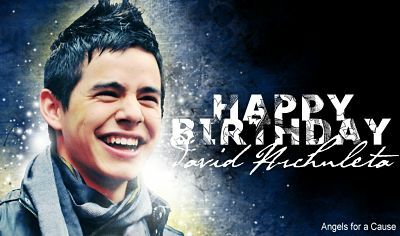 As any David fan knows, tomorrow, December 28 (which is only an hour away), is David’s birthday – the day he turns 20. What does that really mean? It also means that, in David’s own eyes, he will no longer be “officially” a TEENAGER. But for us, the fans, it does mean that David is entering into new territory… not just as a recording music artist and performer. He is also becoming – Gasp! – *professional*. Yes, dear SD readers, I’ve now had a chance to catch up on the whole “drama” concerning cellcasts and the announcement from David’s management that these things are in fact illegal. Like so many Archies, who don’t always have the means and the opportunity to see David live, You Tube and cellcasts have been lifesavers for those of us who are forever indebted and committed to The Voice. But, these past two years have also meant bickering and complaining that David didn’t really have “professional” management advancing his career. Why else did we have certain fan sites running the show and certain VRS (aka “very reliable sources”) feeding our hungry hearts with all things David? I admit that these activities have been fun, and they really have united us as a fanbase. For someone as “green” as David (and, yes, this includes the inexperience of David’s “Team”), this has also meant being pretty tolerant of many things that good professional management would not have greenlighted in the first place. A “fan” designing David’s “official” website? Family members and family friends communicating via fan blogs? Not very professional. And we’ve seen the effects of non-professional management on David’s career – barely a mention or promo in mainstream media. Well, I for one have been waiting for David to get a little more serious and a little professional about his public image and his career. That just might mean having management that will protect his interests (including his intellectual property as represented by live performances and the like). As David turns 20, we may be entering a new decade, along with David, in which he grows up to be a professional. It’s time we take stock of this and respect whatever boundaries are put in place to further his development. Now, I do think certain communication – especially via twitter – is a bad idea, and some kind of media access to David needs to be established before the more “illegal” activities are banned. If cellcasts are no longer permitted, then it’s high time David’s management look into more legal ventures that will foster the interests of his fans and attract new ones. How about live streaming of his concerts? How about a concert DVD for sale (and not delayed by a whole year in the process)? 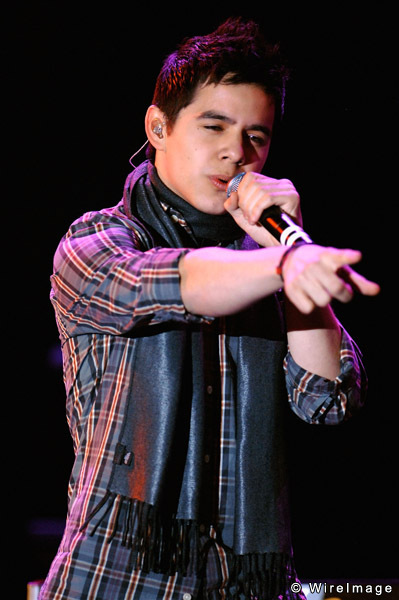 The issue is NOT that Archies won’t go to his concerts but that we want as much access to David as is permissible. What is that song he used to sing? Isn’t that the Arch Angel’s anthem when it comes to seeing (or dreaming of seeing) David live? Prior to recent commentary, such access often meant cellcasts and You Tube. I’m hoping the brouhaha this past week will present David’s management with some novel ideas on how best to make David more accessible. But make no mistake, Archies: the landscape is changing for David, and we best get ready for some new ground rules. I for one am looking forward to how David keeps up with the changes. Happy Birthday, David! May you continue to bless us with your grace and talent!